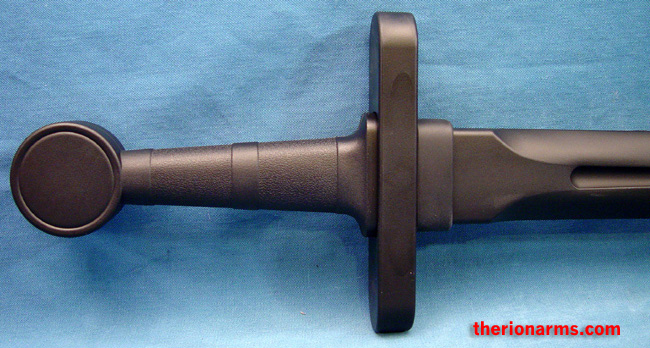 A polypropylene training sword from Cold Steel. You can beat these swords to death and they'll survive pretty much anything you can throw at them (except for possibly storing them in the trunk in Texas in August - then they'll get a little noodley). The proper name for a training sword, usually wooden, is "waster" (pronounced "waast-er, rather than waist-er), and the name (despite the elitist pronunciation), reflects that training swords are expected to break sometime, i.e., "be wasted". Therefore, the declaration that these particular wasters are indestructible is a complete oxymoron, but here we are. I've been considering calling the whole product line "Unwastable wasters". 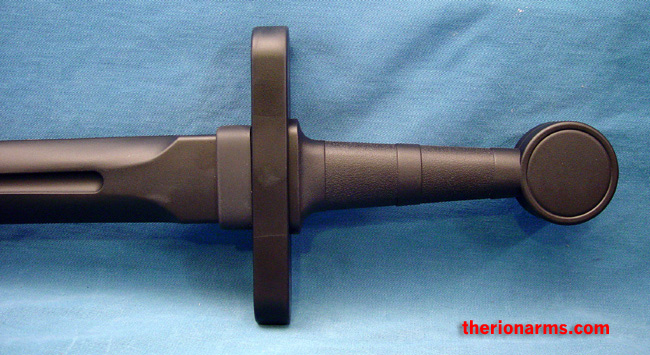 Listed and pictured here is the arming sword version, also available are a longsword waster and a dagger waster. All training swords, be they synthetic, wooden, aluminum, or blunted steel have their advantages and drawbacks. These particular wasters are great for beginners, folks who really abuse their training weapons, and large classes/demonstrations where instructors need a quantity of identical sword simulators. I like these, they're fun beaters. 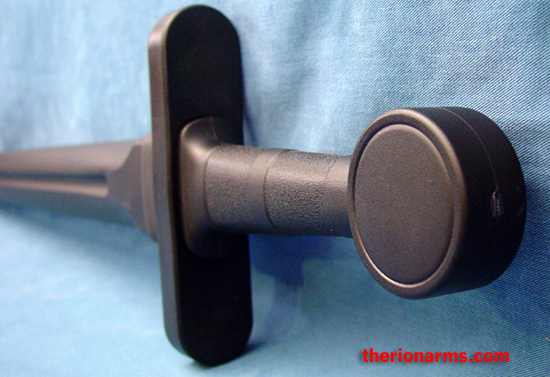 Maybe a little blade-heavy, but it's relatively simple to add weight to the pommel. 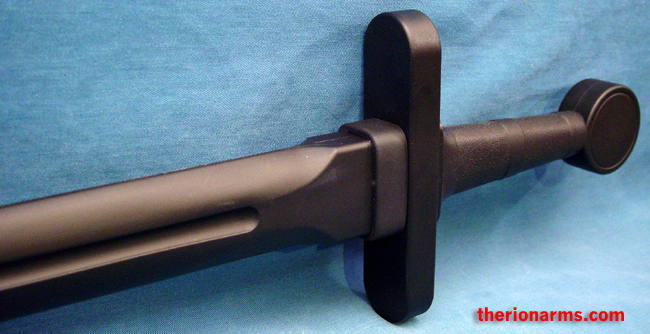 grip and pommel: 7 1/4"